Luxuries abound at Twin Palms. 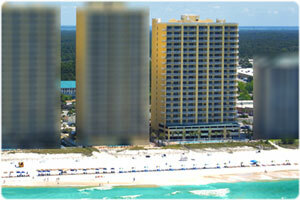 This 21 story resort style condominium sits on 200 feet of the most beautiful sugar white sands of Panama City Beach. Each of the 90 condos, has its own balcony giving you one of the most relaxing and tranquil views of the Gulf of Mexico. Ranging from 825 to 1183 sq. feet, these spacious homes offer some of the most exquisite finishes. Each unit has a fully equipped kitchen, full length windows, washer and dryer, and 9 foot ceilings with crown molding. Twin Palms Condominium has two hot tubs, a large pool, and an exercise room to give you the feel of a resort while offering all the comforts of home. 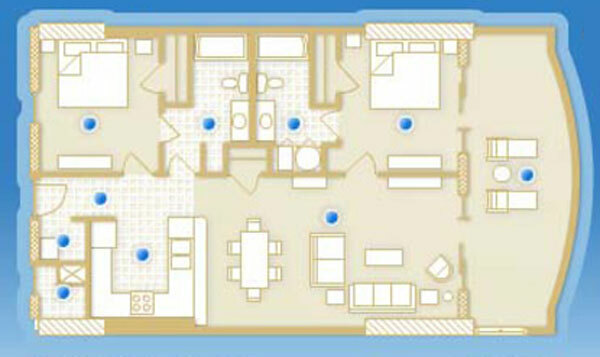 Twin Palms Condominium in Panama City Beach has three different floor plans to choose from.? Each condo features full length windows, a fully equipped kitchen, and a spacious private gulf front balcony. There are two hot tubs, one of which is indoors, one large pool, private parking, and an on-site exercise room. Twin Palms Condominium is located on the eastern side of Panama City Beach close to restaurants, shopping, golf, and many family friendly activities.? It is located just minutes away from Pier Park, the area. Created on 26 March 2012 .